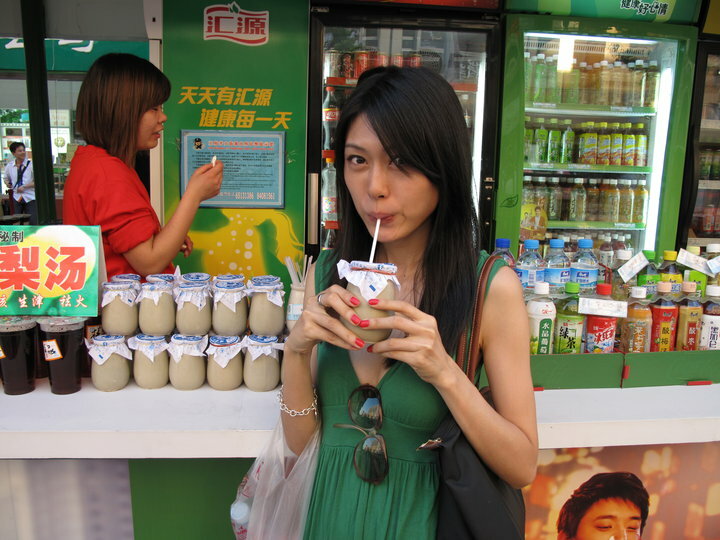 At Beijing, yoghurt drink packaged in ceramic & covered with a thin paper are sold everywhere. Locals love drinking them. So I got one for 5 kuai and drank at a stall along Wangfujing. It was quite nice. Another place popular for ‘xuan nai’ is Nanluoguxiang, a hutong where officials used to live. They sprinkle condiments like sweetened green beans on top. Yum!